Manned guard or security guards are paid to protect property, assets or people. Usually privately and formally employed civilian personnel, security guards are generally uniformed and act to protect property by maintaining a high visibility presence to deter illegal and inappropriate actions. Growth of the global manned guarding security market is driven by a number of factors that include high crime rates, infrastructure development and occasional adverse events. Acknowledging these factors, it could be said that the manned guarding business will certainly gain importance in the years to come. While in some regions like Asia, North America, Europe, Latin America, Middle East and Africa the demand for manned guarding security services is expected to rise, the emerging economies like India, Saudi Arab and China are expected to record double digit growth. However, lack of quality manpower, high attrition rates and compliance requirements pose major challenges to the growth of manned guarding security services market. 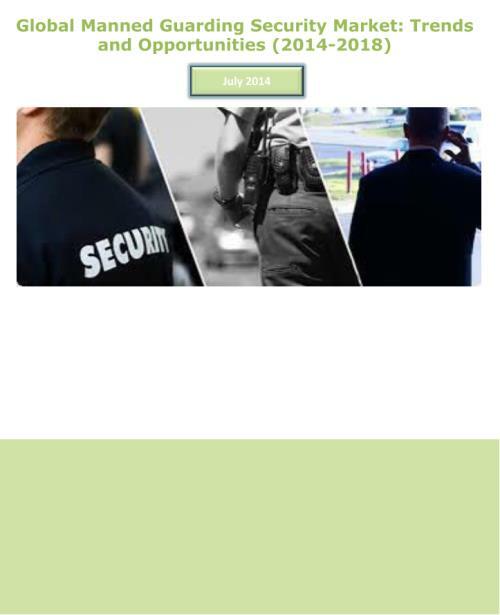 Major trends prevailing in the global manned guarding security market are competitive price and sustenance of margins, strong local and regional presence and influence, trained manpower and background checks and adherence to regulations. This report assesses the key opportunities and underlying trends in the market and outlines the factors that are and will be driving the growth of the industry in the forecasted period (2014-18). Further, key players of the industry like Brinks, G4S and Prosegur are profiled.